I thought I would give you all an insight of what I do with my hair on a daily basis. I'm going to split this post into two sections; one section explaining my hair care, and one section explaining how I style my hair. Firstly, I wash my hair every other nights, which generally means three times a week. 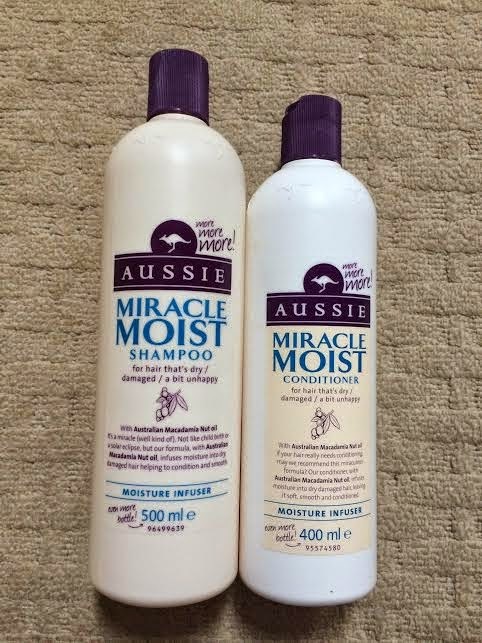 My shampoo and conditioner of choice is the Aussie Miracle Moist. The shampoo cleanses my hair a dream, it lathers up really nice and leaves my hair smelling amazing for at least two days until I need to wash it again. The conditioner just helps to leave your hair feeling silky and smooth, and as the name suggests, your hair really does feel moist! 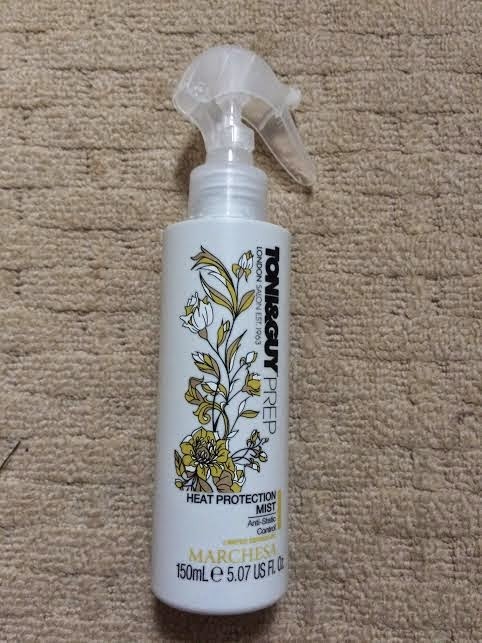 Most shampoo's I have found in my experience, have left my hair feeling dry and stripped, which is not a pleasant sensation. After I have finished washing and conditioning my hair, and before I blow dry it, I brush it through with a Tangle Teezer, and then go to apply some Toni and Guy heat protector. I'm not overly loyal to a particular brand of heat protector, as long as it does what I need it to in order for me to apply heat to my hair. I prefer to blow dry my hair as opposed to letting it dry naturally as I just find that hair goes frizzy and it's not a good look. Once my hair is all clean and dry, I then go onto styling my hair. I like to straighten my hair after I have washed it, again, because my hair tends to look frizzy a lot. Before I straighten my hair I apply some Moroccan Oil. 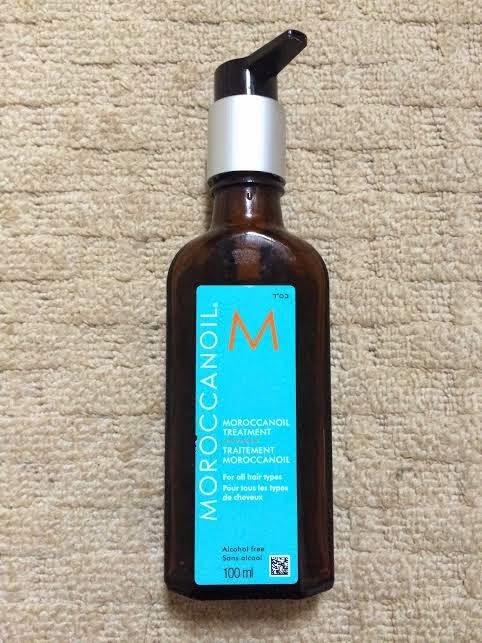 I love using Moroccan Oil as it makes my hair look shiny and feel soft, and it smells great too. When I've done all of this, I either leave my hair down, or I style it a bit more. My favourite hairstyle is a half up, half down hairstyle. To achieve this, I backcomb my crown section and smooth it out and clip it into place with bobby pins and finish it with some hairspray. i love the light version of moroccan oil!